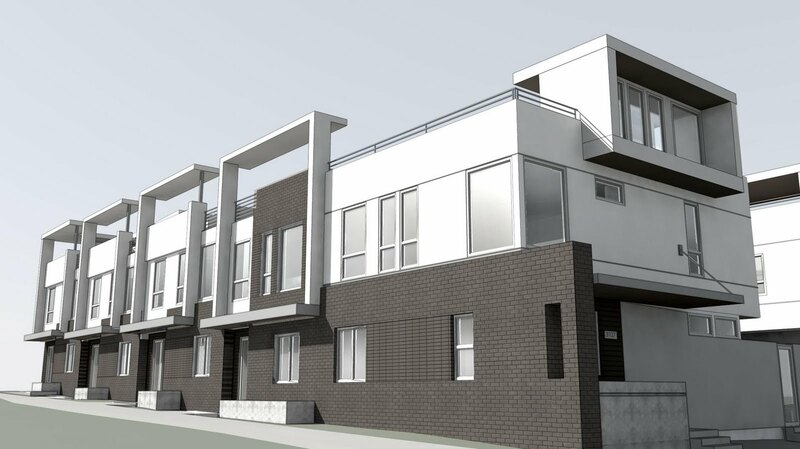 Dramatic Townhomes in the Heart of LoHi, Denver’s Hottest Neighborhood! The Vallejo Street Townhomes are a new project being built and designed by Sprocket, one of the city’s leading architectural Design/Build firms! Sprocket is known for their mastery of form, function, and quality. The project consists of 10 town homes ranging from 2 to 3 bedrooms and 2 to 3 bathrooms, 1031 to 1700 square feet, and priced from $329,000 to $475,000. Fabulous living spaces with open floor plans, 10 to 13ft high ceilings, European finishes and oversized windows. Other features include: Chroma Quartz Slab Countertops, euro style custom cabinetry, stainless steel appliances, attached garages, hardwood floors, prewired rooms for surround sound, fireplaces, media center, and design nuances that will knock your socks off. The private rooftop decks are second to none: ranging from 277 to 452 square feet with jaw dropping views of Denver’s cityscape and the Dramatic Townhomes in the Heart of LoHi, Denver’s Hottest Neighborhood! The Vallejo Street Townhomes are a new project being built and designed by Sprocket, one of the city’s leading architectural Design/Build firms! Sprocket is known for their mastery of form, function, and quality. The project consists of 10 town homes ranging from 2 to 3 bedrooms and 2 to 3 bathrooms, 1031 to 1700 square feet, and priced from $329,000 to $475,000. The private rooftop decks are second to none: ranging from 277 to 452 square feet with jaw dropping views of Denver’s cityscape and the Rocky Mountains. These outdoor entertainment spaces are prewired for outdoor speakers, plumbed for gas, water, and built to accommodate a hot tub! No doubt that these spaces are the ultimate entertainment area.These outdoor entertainment spaces are prewired for outdoor speakers, plumbed for gas, water, and built to accommodate a hot tub! No doubt that these spaces are the ultimate entertainment area.